I have just completed Anthony William’s 28 day cleanse, a raw fruit and vegetable cleanse that includes a large glass of celery juice taken daily on an empty stomach. 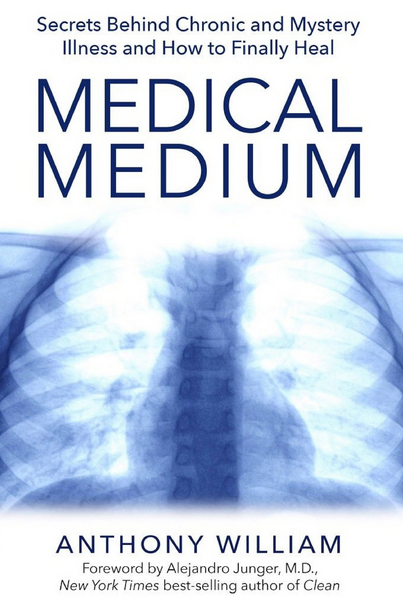 William is the author of Medical Medium: Secrets Behind Chronic and Mystery Illness and How to Finally Heal. The author reveals the causes of these debilitating conditions one of which is the Epstein Barr Virus (EBV) affecting over 225 million Americans. This blog explores the idea that the epidemic of chronic illness is likely connected to the over-vaccination of the population. ‘Wellness sage’, Anthony William writes about the devastating chronic illnesses for which the medical profession has few answers. His theory is that the increasingly prevalent chronic diseases such as lupus, fibromyalgia, chronic fatigue syndrome, multiple sclerosis, rheumatoid arthritis and thyroid disease are caused by viruses such as Epstein-Barr virus (EBV) of which there are there are some 60 types. The Epstein-Barr virus (EBV) has created a secret epidemic. Out of the roughly 320 million people in the U.S over 225 million Americans have some form of EBV. Epstein-Barr is responsible for mystery illnesses of every category: For some people, it creates fatigue and pain that go unnamed. It is dormant in the bloodstream and waiting to launch into a more direct infection. The timing of this depends on the levels of stress, whether levels of zinc and vitamin B12 are adequate and if the individual is experiencing emotional turmoil. At the end of stage one the virus becomes mononucleosis and during this illness, EBV seeks refuge in the liver and spleen. While only the antibodies show up in the bloodstream the virus is still active and is causing the liver and spleen to become inflamed and enlarged. At the same time EBV is excreting toxins which develop into a neurotoxin. When the virus is ready to act it excretes this neurotoxin affecting the immune system and manifesting as diseases such as lupus and hypothyroidism. This fourth stage is where inflammation of the central nervous system occurs and can happen after physical or emotional injury bringing heart palpitations and generalised aches and pain, even nerve pain. These injured nerves trigger an alarm hormone which warns the body that nerves are exposed and in need of repair. At this stage EBV rushes in and latches onto damaged nerves. Medical Medium also discusses the cause of Lyme disease where he controversially states that it is not a disease caused by a tick or parasite or bacteria. But rather it is different in each individual who suffers from the disease. People who are infected with these viruses such as EBV, HHV-6 (herpes) and those with the many strains of the shingles virus can come down with Lyme symptoms. All the viruses I listed above are in the herpes family and can cause fever, headaches, joint pain, muscle pain, fatigue, neck pain, burning nerve pain, heart palpitations, almost any neurological symptom, and/or other symptoms that doctors think of as so-called Lyme disease. After reading Medical Medium I began to wonder why these pathogens such as EBV, Cytomegalovirus (CMV) and the shingles virus, previously dormant until some period of stress and nutritional deficiencies, start to cause havoc in the human body. These viruses of the herpes family as mentioned above hide in body organs such as the liver and spleen, also in the small intestinal tract and even in the central nervous system. They remain there until some trigger such as an emotional or physical trauma weakens the immune system. These viruses that cause Lyme disease love heavy metals that also reside in our bodies forming a trigger for the virus leaving its hideout and ‘growing its “army” of virus cells’. Other triggers include mould, mercury-based amalgams, pesticides and herbicides, insecticides, emotional trauma, spider and bee bites and medications. In a world where humans are vaccinated for normal childhood infections and so many other usually harmless viruses I have to question what effect these many toxic vaccines have on the triggering of these latent viruses that abide in our bodies. That’s when I remembered and revisited Lloyd W. Phillips amazing seven-year research on Gardasil, the HPV vaccine marketed to boys and girls all over the world for cervical cancer and other cancers purported to be from the human papilloma virus (HPV). Lloyd W. Phillips conducted a seven year analysis of adverse reactions to the Gardasil vaccine and his results can be read in Gardasil Syndrome: A perfect Storm of Genetic Mutations & Reactivated Pathogens. His research is crucial to our understanding of what is actually happening to the thousands of young girls and now boys, some of whom have died, and of those who have become so sick after their HPV vaccination. 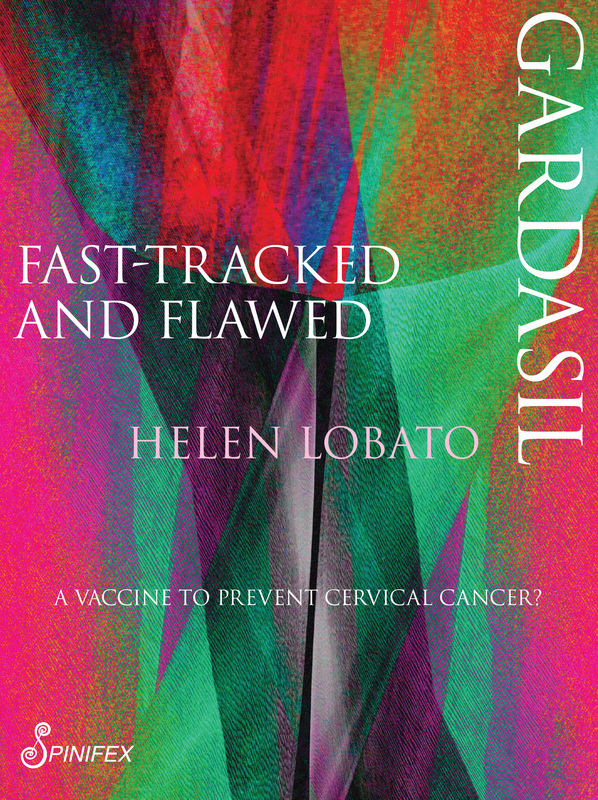 Phillips who has a background in cellular biology describes Gardasil Syndrome as a ‘debilitating and sometimes fatal pathophysiology’ – following Gardasil, a genetically engineered vaccine. Gardasil contains amorphous aluminium hydroxyphosphate sulphate (AAHS) used as an adjuvent which stimulates the immune system to produce antibodies. But the use of this new form of aluminium causes the immune system to become 104 times more powerfully stimulated than would occur naturally. Phillips points out that GSK’s HPV vaccine Cervarix is even more powerful forcing the stimulation of the immune system 124 times the normal rate. There is also the latest HPV vaccine, Gardasil 9 marketed to be protective against 9 HPV types which contains double the amount of AAHS so expect even more injury as this vaccine is used all over the globe. Such over-stimulation of the immune system results in the development of more dangerous allergies especially asthma. It also causes the manifestation of autoimmune diseases and seizures and all of the conditions that are occurring in our young teenagers after HPV vaccination including POTS or postural orthostatic tachycardic syndrome, gastrointestinal problems, heart disease, cancer, hair loss, depression, insomnia and excruciating joint pain. 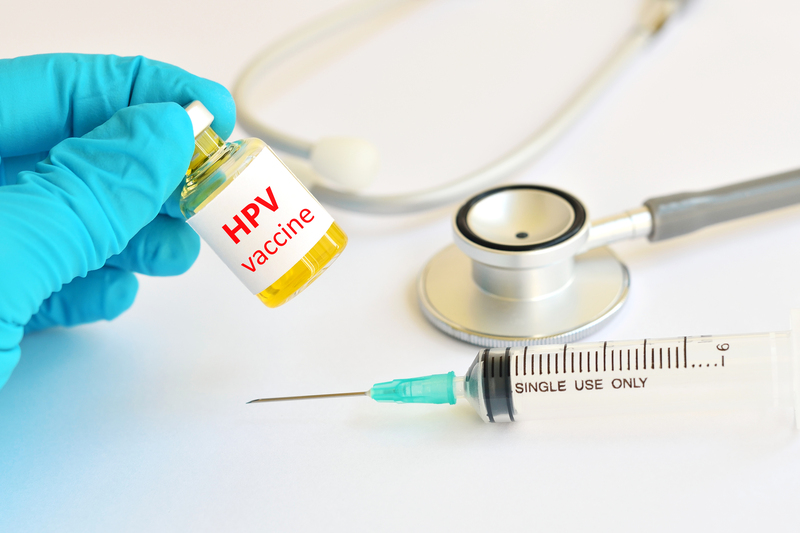 Gardasil also causes a 44.6% increased risk of cancer if the person receiving the vaccine has already been exposed to the human papilloma virus. In this interview Phillips discusses Gardasil Syndrome and speaks about how the Irish, German, French, Norwegian and Danish girls who have been given Gardasil often fare worse after the vaccine than other populations. From his intensive research Phillips has found that Gardasil is more dangerous when given to teenagers of Irish background and those from the Northern and Western European countries due to their genetic heritage. These people are normally healthy and do not get sick – their bodies have more pathogens which they keep in balance. But when they are vaccinated with Gardasil the hyperactivation of the immune system is more intense causing the system to attack millions of cells which contain usually (under control ) pathogens along with metals and toxins such as glyphosate. These contents within the cells are then liberated and dumped into the bloodstream or the lymphatic system and go on to cause sepsis. We observed that children who appeared to be very healthy prior to receiving the Gardasil HPV vaccine and were the most physically active following the vaccination (participated in sports, cheerleading, dancing, biking, skating, or other physical activity), suffered the most severe debilitating symptoms, possibly due to the increased distribution of the vaccine throughout their body due to increased circulation from exercise. We observed that children and adults who appeared to be very healthy may actually have harbored the Human Leukocyte Antigen (HLA) genetic mutation, and the immune system may not have aggressively responded to viruses and other pathogens. This may have given a false sense of good health, and may actually have allowed the host to harbor high(er) levels of Epstein Barr Virus and other pathogens. A family history of EBV or Mononucleosis/Glandular Fever (full-blown EBV) has been virtually a 100% predictor of a severe or life-threatening adverse vaccine reaction in this group. People of Irish descent or similar Northern European ancestry (Scotch, English, Swedes, Danes, etc.) have proven to be the most severely affected. These populations appear healthy but they have a higher load of pathogens which are kept at bay and in a state of homeostasis. The problem occurs when these teenagers are given HPV vaccines, a recombinant vaccine where proteins are used rather than the virus. This is an overwhelmed immune system rendering horrific symptoms such as weakness, immobility, lack of mental clarity and even paralysis. Phillips mentions the role of the dangerous additive polysorbate 80 which coats the nanoparticle and penetrates the blood-brain barrier causing encephalitis, cognitive disorders and the inability to stand loud noises. Food sensitivities are higher than ever before. The hormone cortisol is pumped into the body leaving many of the teenagers unable to sleep. During this interview Lloyd Phillips was asked if the vaccine causes sterility. His reply is chilling! He states that when a girl is pregnant and needs an abortion it is suggested by other students that she have a Gardasil vaccine. Can medical medium’s knowledge of chronic disease and mystery illness help those suffering from Gardasil Syndrome? Does his treatment hold any hope for the thousands of young people who have experienced devastating adverse events after a stupid vaccine that they never needed in the first place. I would like to think so. Medical Medium’s Anthony William claims that healing from Epstein-Barr virus is possible and he prescribes a diet based on certain fruits and vegetables and healing herbs and supplements and the importance of clearing the body of toxic metals such as mercury, aluminium, lead, nickel, copper and the chemicals that are sprayed such as pesticides, herbicides and fungicides. These toxins have been in our bodies for many years, poisoning us, weakening our immune systems, our livers and our central nervous system. One of the best ways to remove these heavy metal toxins is to consume barley grass juice extract powder, spirulina, cilantro (coriander) wild blueberries and Atlantic dulse daily. All of these powerful heavy metal-removing foods leave behind critical nutrients for repairing heavy metal damage and restoring the body. Powerful foods to consume for this process of healing from EBV and other disease-causing pathogens are wild blueberries, celery, spinach, coriander, papayas, bananas, melons, potato and other wonderful fruits and vegetables and stay away from the fats apart from a small amount of avocado. The diet and herbs help to remineralise, alkalise and detoxify the body. The pathophysiology of this syndrome is terrifying. It needs to be understood and the vaccine recalled. No-one needs this vaccine. There is no proof that the human papilloma virus causes cervical cancer.